I am honoured to pursue the mission of the Chair, in keeping with the initial efforts and achievements of Richard Béliveau who first headed the Chair in Cancer Prevention and Treatment. In this endeavour, I am assisted by a devoted, motivated and creative team of researchers. Together, we make it our life’s work to raise public awareness on the importance of adopting a healthy lifestyle and encouraging people to take ownership for their health. The Chair’s mission impacts your daily lives with discoveries that foster a better understanding of the preventive health benefits derived from food-based compounds. 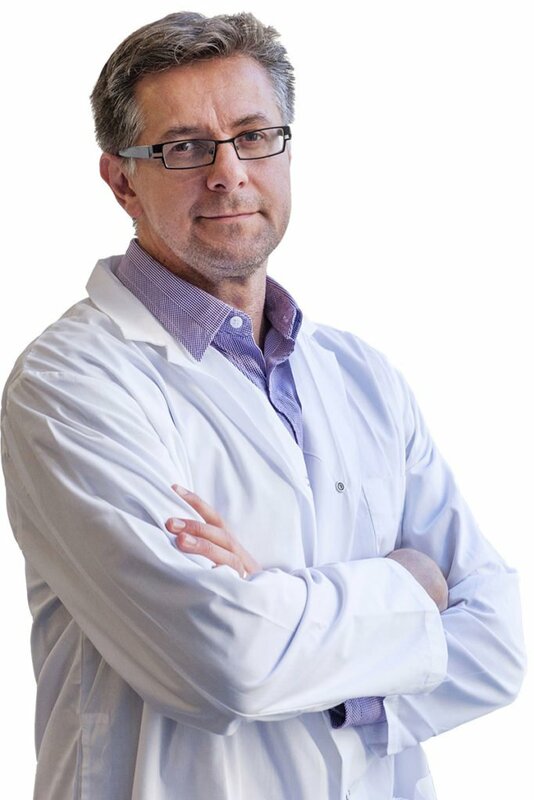 I am a Professor of biochemistry at UQAM’s Chemistry Department, as well as Associate Professor at Université de Montréal’s Department of Physiology. From 2002 to 2012, I headed the Canada Research Chair in Molecular Oncology, a chair funded by the Canadian Institutes of Health Research (CIHR). Over the years, my expertise in oncology and collaborative research with Richard Béliveau’s team has resulted in 34 scientific articles and 51 communications relating to the mission of the Chair in Cancer Prevention and Treatment, and I intend to continue promoting awareness of the Chair’s mission and achievements within the scientific and academic community, and the public at large.